This post is way too late. 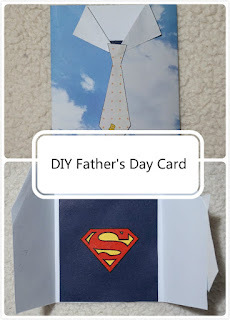 I still wanna share this idea with you because this card was so easy too make and I didn't even need a trip to the craft store. 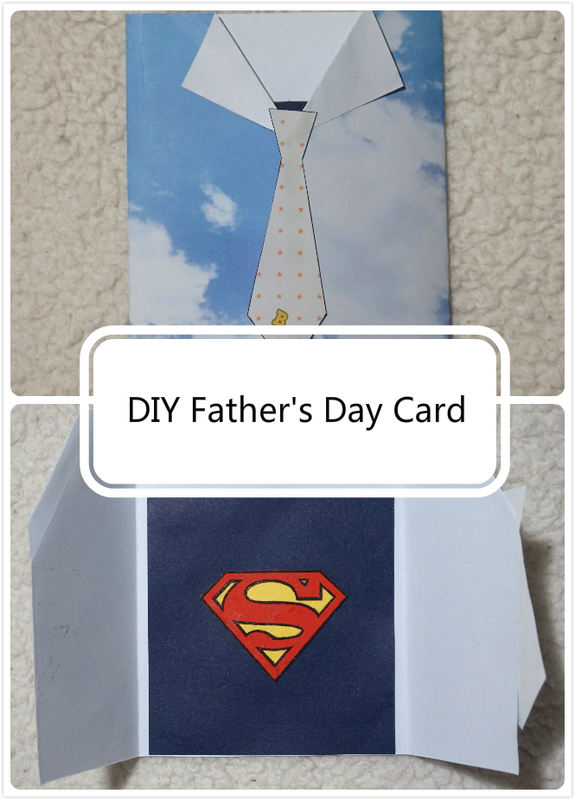 Just in case you need a cute card for next Father's Day. Here you go. I went through my scrapbook paper stash and found two cute styles - one for the shirt and one for the tie. I didn't need a pattern since it is pretty straight forward. freehanded the tie. The superman sign is from the Internet. Just google and find the one that pleases you. For this superman undershirt, I used blue, red and yellow construction papers. Happy Father's Day, my lousy husband (but a great dad)!